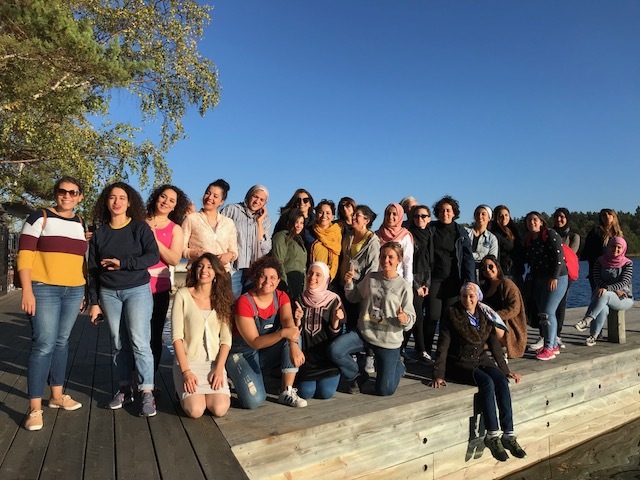 This week the 28 participants from SI:s leadership programme for young female entrepreneurs from the Middle East are in Stockholm for the programme’s final module. The competition for participating in the programme was high, and the group were chosen from over 600 applicants. Six months ago they visited Stockholm for the first time and now they are back for another week of company visits, hands on coaching sessions and workshops. Among the participants were Amira El Gharib who has started the childcare and tutor company Orcas that creates employment opportunitites for young Egyptians and Nour Atrissi, founder of Teens who Code which educates Lebanon’s next genereation of programmers. The leadership programme is called She-Entrepreneurs and focuses on leadership training within the context of working for an equal and sustainable society. The programme is based on real business experiences and collaborative learning. The aim of She-Entrepreneurs programme is to support young women social entrepreneurs by giving them the tools and methods they need to develop their social enterprise.